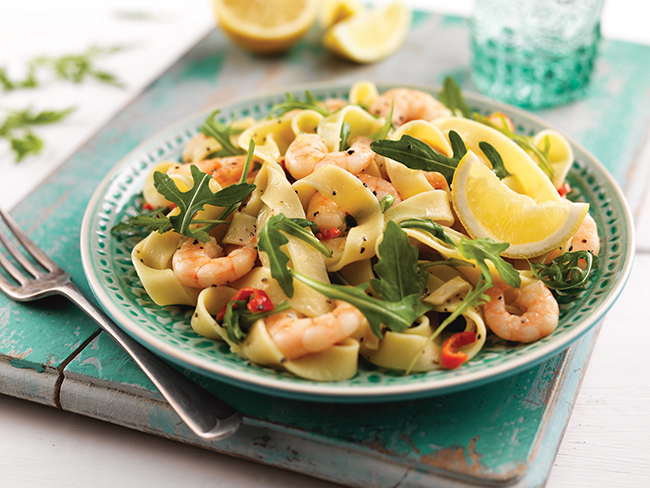 This light and flavoursome gluten-free prawn tagliatelle dish is perfect when you fancy something healthy and delicious, but don’t fancy spending ages in the kitchen! Boil a pan of water and cook the pasta according to the instructions. Heat the oil in a frying pan, then add the garlic and chilli and fry for 1 minute. Drain the pasta and add to the frying pan with the prawns. Mix well, then and stir in the rocket and season with lemon and black pepper.